It's always fun to discover new styling services to share with you on the blog and this month I tried a new company that specifically aims to be budget-friendly. I know how much you love reading my monthly Stitch Fix and other style service reviews, and I've also heard from many of you that you wish you could find a service with lower-price points that are a little easier on the budget. Ladies, I am thrilled to introduce you to Fashom: my latest find in online personal styling services. Since Stitch Fix has been my true love for online styling and continues to set the bar quite high for competitors, I'll lay out a detailed side by side comparison of how the two services work, along with their strengths and weaknesses to help you decide which service is best-suited to your needs. This post contains affiliate links and/or referral links. We receive a small commission/credit each time someone signs up for a styling service or makes a purchase through one of our links, which helps to support the blog and makes it possible for us to continue sharing posts like this with you. I hope you enjoy this month's review! 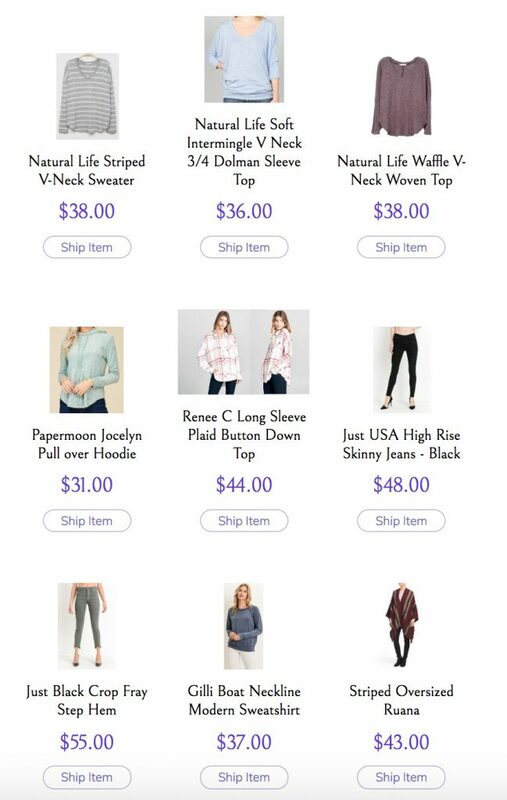 Fashom specifically offers budget-friendly clothing to all its customers, and offers a 25% when customers order 3 or more items from their shipment. Low cost clothing isn't the only priority for Fashom. They're also ethically-minded and seek ethically sourced vendors from around the world. Fashom donates $1 of every box sold to Second Chance Rescue NYC as a way of giving back to the community. 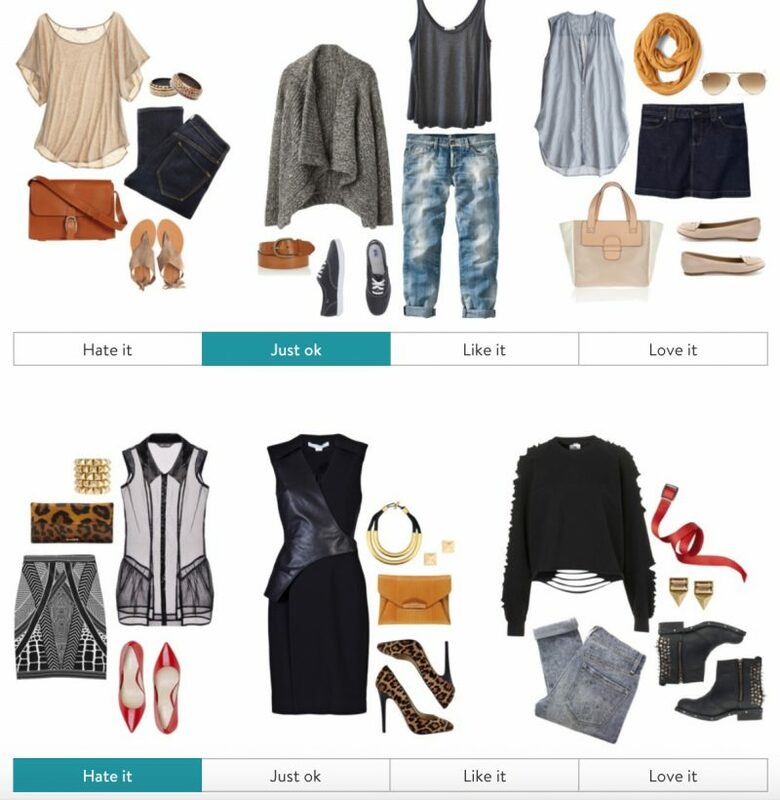 New customers to Stitch Fix and Fashom get started by creating a style profile on each site. Both style profiles are free to set up and allow customers to provide size information, price limits, and general fashion preferences for future styling. The type of questions asked on each platform are very similar and many of the questions provide photos and images that invite the user to select their favorite styles. This is where you can start to see a significant difference between the two companies. Here's a screenshot from my Stitch Fix style profile in which I was asked to rate the following clothing ensembles. The images are big, bright and easy to study. I was also able to provide my stylist with a sense of just how much I liked or disliked each group of clothing. In contrast, this is a screenshot from my Fashom style profile. I didn't do anything on my computer to make the images appear smaller. This is simply how they look on the screen. As you can see, the images are considerably smaller and not as appealing to look at. I found it very difficult to truly understand what the “vibe” was for each outfit and simply checking the outfits I loved didn't provide my stylist with the same level of insight into my feelings. After building a style profile for each service, you have the option of scheduling a shipment. Stitch Fix allows you to schedule your first (and any subsequent) shipment right away. The process of styling a fix does take some time, so customers usually have to wait at least a week before receiving their Fix, but a calendar is provided that allows customers select the exact day that their Fix will arrive and the process is completely automated based on the scheduled arrival date. 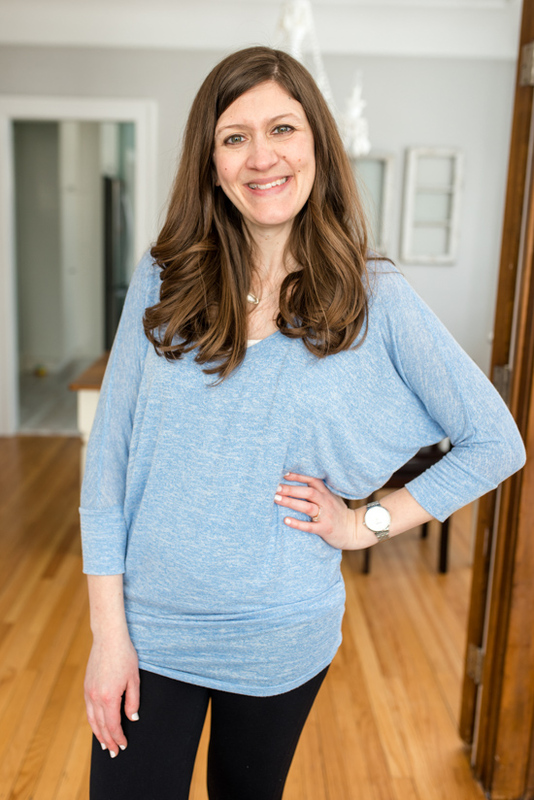 Stitch Fix was the very first personal styling company that I tried and they have always allowed clients to select and schedule an exact delivery day. I had no idea how unique and helpful this model was until I tried using other services and was frustrated by the unspecified shipping windows they provided. No other company does as good of a job as Stitch Fix when it comes to saying exactly when your box will arrive. Fashom does things a bit differently and it's difficult to predict the exact arrival date of your shipment when you place a request to have a Fashom box styled. When a customer would like to receive a shipment styled by Fashom, she needs to complete a styling request to start the process. After a request is made, Fashom begins the styling process and will respond within 2-3 business days with a preview of your shipment (more about the preview in a minute). Once clothing selections are finalized, after you select your five items, it takes 12-14 days for the box to arrive I have no idea why it takes so long, since the pieces have already been selected, but there you have it. Both Stitch Fix and Fashom allow customers to see what items are items are coming before they are delivered. With Stitch Fix, customers have to wait until after their Fix has been shipped. At that point, customers can log in to their account and click “begin checkout” to see the five items coming their way. It's worth noting that peeking at a fix this way doesn't shorten the three-day try on period. The “timer” (so to speak) for the try-on period doesn't begin until USPS confirms delivery of your fix. 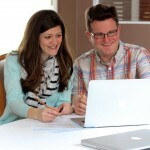 encourages customers to give feedback and help with the selection process for the five items that will be sent to them. After submitting a style request, Fashom offers customers a preview of nine items pre-selected by a Fashom stylist. Customers are encouraged to log in to their account and select which five items of the nine they would like sent their way. Customers have 24 hours to select their items. If the window closes before you log in to select your favorite pieces, the stylist will go ahead and choose five items to ship for you. If for some reason a customer isn't satisfied with any of the stylist's pre-selections, she can cancel the styling session and send an email to stylist@fashom.com. Fashom will follow-up via email to try to resolve the situation. Stitch Fix vs. Fashom: How Much Does it Cost? Just like virtually every other online styling service I have tried, Stitch Fix and Fashom both charge a styling fee for their services; the cost of which is automatically deducted from the price of any items you choose to keep from your shipment. Shipping and returns are always free for both Stitch Fix and Fashom customers. Stitch Fix charges a $20 styling fee for each fix, although some Stitch Fix customers are randomly selected to join Style Pass. With the Style Pass, customers have the option of purchasing an annual membership for $50. The $50 is applied as credit toward future purchases and Style Pass members enjoy waived styling fees for an entire year. There doesn't seem to be a trick or hack to joining Style Pass (which is invite-only), but it appears that Stitch Fix only offers the promotion to customers who have received many Fixes in the past. Fashom charges a $15 styling fee for each shipment, but they waive the fee for each customer's first two shipments. I personally love this policy because it gives customers two opportunities to try the service and determine if they really like it before committing to any purchases. Fashom advertises itself as being very budget friendly and in my experience, the advertising is very accurate. I couldn't find any information on the Fashom website regarding average clothing prices, but average cost of the items I received came in at $39 – which truly seems like a bargain to me. Stitch Fix tends to have higher prices. I looked up prices on the Stitch Fix FAQ page and they report an average price point for women's clothing items to be $55, I often receive clothes with higher prices (especially since Stitch Fix now offers luxe styling from premium brands, which would further inflate the average clothing price.) I have a suspicion that lower-priced accessories (and possibly undergarments) are factored into their data to provide a low average price. Stitch Fix and Fashom both know that everyone loves saving money, and each service offers customers a 25% discount when they purchase a certain amount of clothing from their shipments. Stitch Fix offers a 25% buy-all discount, which means that customers automatically save 25% when they purchase all five items from their Fix. Fashom also offers a 25% discount, but they don't require customers to purchase every item to earn the discount. The Fashom discount is activated when a customer purchases a minimum of three items from their shipment. Both Stitch Fix and Fashom offer a referral program for customers who recommend the service to their friends. Stitch Fix customers earn a $25 credit each time a friend signs up and orders their first Fix. If you wear plus, petite or maternity sizes – you are in luck! Both Stitch Fix and Fashom advertise that they offer styling services for a full range of women's sizes. There's no doubt that Fashom offers a lower-priced service than many of its competitors (including Stitch Fix). But if we are doing a complete comparison, it's important to acknowledge the user experience that Stitch Fix and Fashom offer to their customers. Everything about the Stitch Fix brand is aimed at a positive customer experience. They have a beautiful website, a fantastic app, amazing customer service, even the ability to rate specific items online to provide additional feedback for stylists. It's always simple and fun to log in to my Stitch Fix account. Fashom, on the other hand, doesn't quite offer the same customer experience. Which makes sense, considering that their clothes are less expensive, their styling fees are lower, and they offer a discount for customers purchasing fewer items. 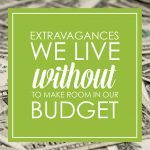 Fashom works with a lower-budget, which means they probably can't afford to invest in a dynamic website or amazing customer experience. Fashom absolutely gets the job done, it's just not as fun or pretty as a Stitch Fix experience. I personally had a difficult time with the tiny images on the Fashom website – both in my style profile and when I had the opportunity to preview my Fashom shipment. Here's a screenshot of the product preview screen. As you can see, it really left something to be desired and didn't exactly provide great visuals for me to make an informed decision. 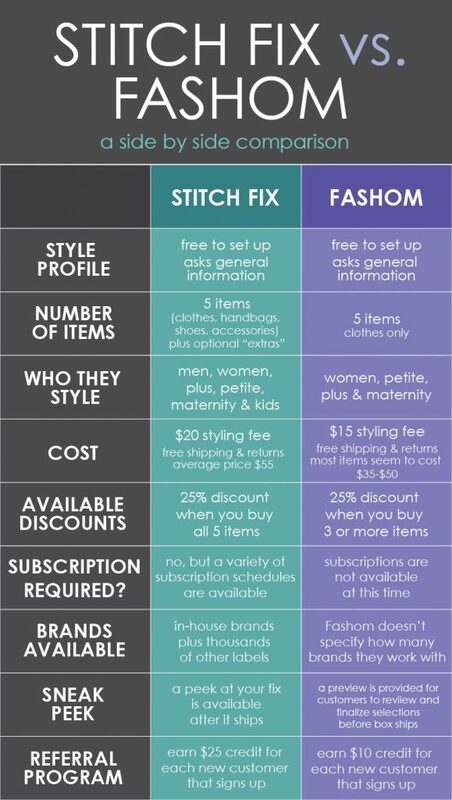 I know that was a lot of information to process, so I organized the key comparisons between Fashom and Stitch Fix into a simple chart. This way, you can see a side-by-side comparison of the two services at a quick glance. Now that you know the ins and outs of Fashom and how the service compares to Stitch Fix, I'm excited to finally walk you through my first-ever Fashom review and try-on. I realize the screenshot I shared of my Fashom preview wasn't the most helpful because the images were incredibly tiny, so I created a graphic that shows each item in more detail. I had my eye on the Striped V-Neck Sweater from Natural Life ($38) as soon as I previewed it in the Fashom app and I knew that I wanted to try it on. The top was a perfect, flattering fit. I knew right away that this top was going to be a keeper. Despite being called a sweater, this was super-soft and very lightweight. It was more like a top than a sweater. 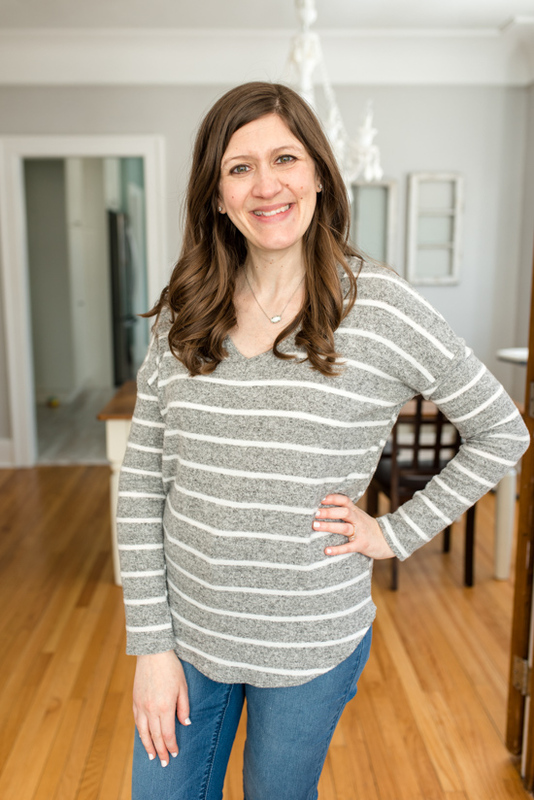 I'm always cold, so I've worn the Striped V-Neck Sweater a few times since I purchased it, but I'm waiting as patiently as I can for Michigan temperatures to climb above 50 degrees before I'll be ready to add it into my regular clothing rotation. The jeans may have been the wrong color, but were high-rise just like the description and they were a great fit. I really loved the cut of these jeans because they stayed in place so well. They had great stretch and were perfect to wear while I chased Dessa around the house. There was only one problem with the comfort of the jeans and it was an unusual issue – the stitching around the waistband was incredibly itchy and uncomfortable against my skin. It felt like the thread was too coarse and I couldn't stand the way it felt. I had layered my usual white tank top under the Striped V-Neck Sweater and I had to tuck the tank into my pants for them to be comfortable enough for me to wear for a few photos. It was such a shame too, because the jeans fit perfectly and had a great price. 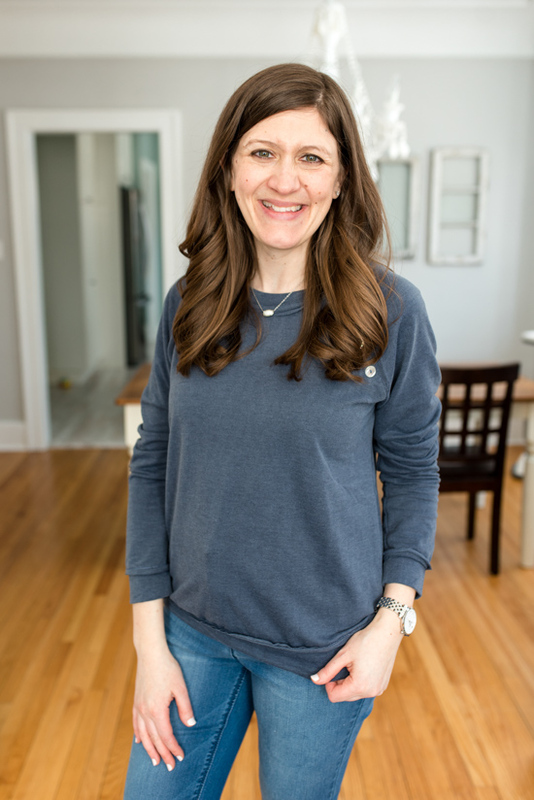 The stitching on the jeans may have been uncomfortable, but I loved the way they looked, so I kept them on for a few more minutes with my gray Keds while I tried on the Boat Neckline Modern Sweatshirt from Gili ($37) that also came in my Fashom box. I also added a silver and white Kendra Scott necklace and my silver Kate Spade watch. One thing I noticed right away before I even tried on the top was the label: Gilli. I have received a number of Gilli brand items from Stitch Fix over the years and it was nice to see a familiar label in my Fashom box. The top was like a super-lightweight sweatshirt. In fact, it was so lightweight, I don't think that sweatshirt was the best word to describe it. Just like the gray striped shirt, this was basically a long sleeve top. 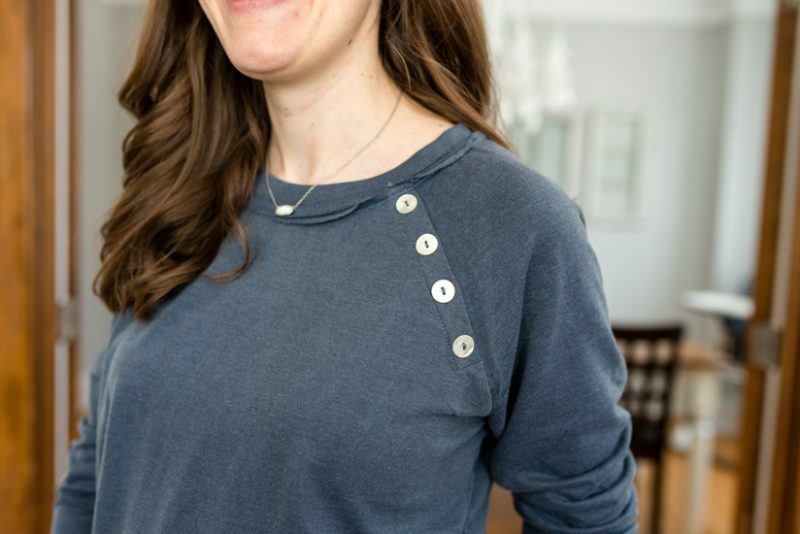 Although the product name was a bit misleading, this piece was comfortable and flattering to wear, and I especially liked the button detail along the shoulder of the Boat Neckline Modern Sweatshirt. 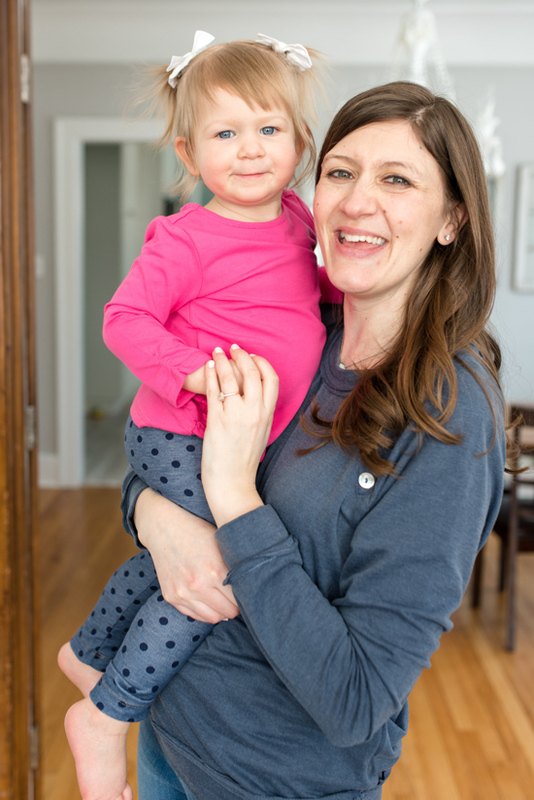 The Boat Neckline Modern Sweatshirt was very comfortable and well-suited for a busy mom who spends her days trying to keep up with a very active toddler. With a price tag under $40, I was tempted to keep it, but I have learned from past purchases that I almost never wear any of the navy blue tops in my closet. This top wasn't exactly a shade of navy, but it was close enough for me to be skeptical about how much (or rather how little) I actually would wear it. I decided to send this one back to Fashom. 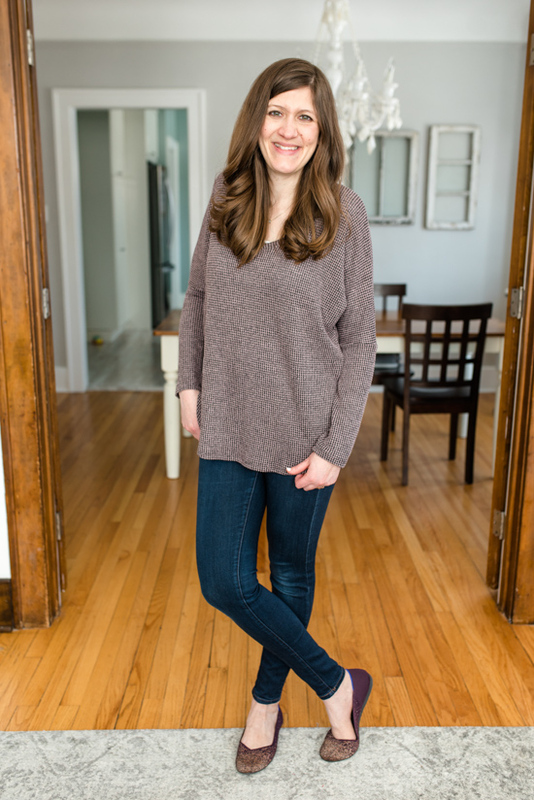 I finally stepped out of the jeans that came in my Fashom box and swapped them for my favorite comfy pair of Liverpool pull-on jeans while I tried on the Waffle V-Neck Woven Top from Natural Life ($38). The colors of the top were an interesting neutral blend of browns and purples, which happened to look great with my Metallic Eggplant Rothy's. The colors of the Waffle V-Neck Woven Top seemed better-suited for fall than spring and I wasn't crazy about the fit. It was a little boxy, the sleeves reminded me of a dolman fit top (which isn't my favorite style these days) and there was a seam that cut midway across the sleeves, which wasn't as comfortable as it would have been if each sleeve were made from a single piece of fabric and spared the horizontal seam. The Waffle V-Neck Woven Top wasn't exactly a bad shirt, it just wasn't good enough to keep. This one was also going back. 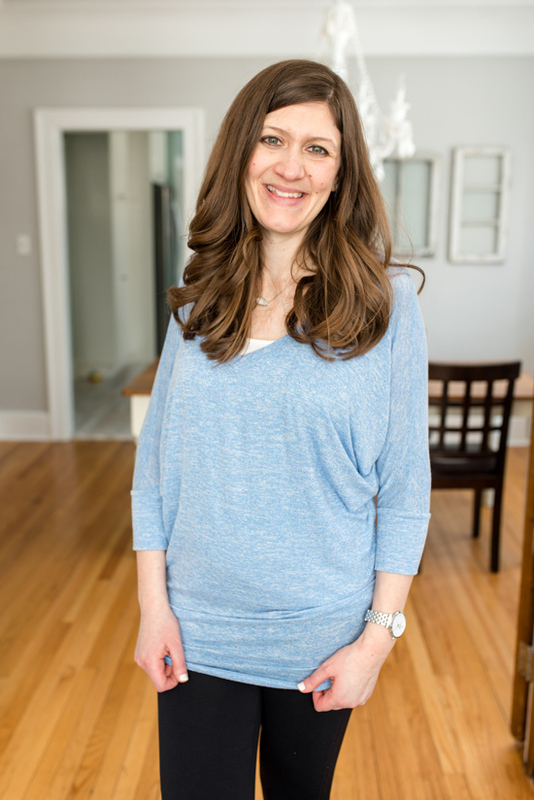 After trying on four items from my Fashom box, only one top remained: a light blue Soft Intermingle V Neck 3/4 Dolman Sleeve Top from Natural Life ($36). I decided sometime last year that I'm done with dolman tops so I knew this one was probably going back before I even tried it on. But, I know that some people really love dolmans so I wanted to try it on so you could see how it fit. 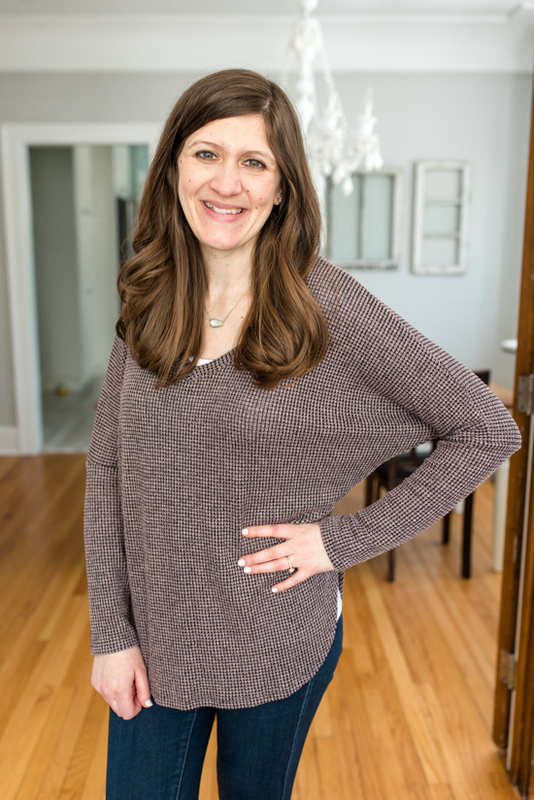 This Soft Intermingle V Neck 3/4 Dolman Sleeve Top was particularly lightweight and needed to be layered over another shirt (I love the first layer tank from Old Navy) because it was slightly sheer. I also wore the top with a budget-friendly pair of opaque leggings and my Converse shoes. Like the name suggests, the Soft Intermingle V Neck 3/4 Dolman Sleeve Top was also very soft and comfortable. It actually reminded me of loungewear or a pajama shirt. If you love a good dolman top, then this one might be a great addition to your closet. I personally prefer a more traditional shirt that can be layered with a cardigan, so I decided to send this one back to Fashom as well. Is Fashom Cheaper than Stitch Fix? Since Fashom specifically advertises itself to be a budget-friendly service, I wanted to quickly run the numbers and break down the cost of my Fashom box. This was my first shipment, so the styling fee was automatically waved, which just left the cost of the actual clothes. If I had chosen to purchase the entire box at a 25% discount, I would have saved $49.25 and brought the price down to $147.75 (an average price of $29.55 per item). Overall, I think that's a really great and highly competitive price for clothes purchased from any styling service. Thank you for this review. I hope you get credit with my sign up for Fashom. 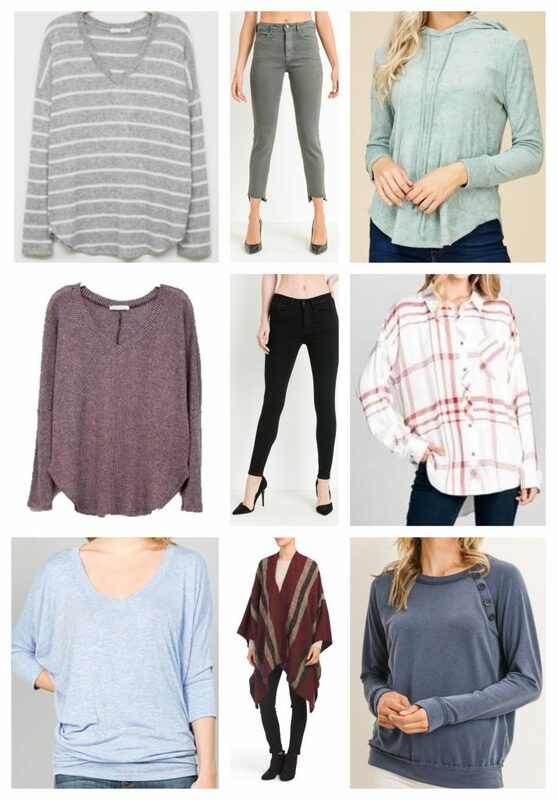 I started stitch fix back in January and love the style service, but have been open to looking into other options for certain ‘types of outfits’. I am also doing a complete make-over of my wardrobe so want to be thrifty at the same time. I enjoy your comparisons and from what I have experienced, they have been right on. Great blogging!!! THANK YOU! 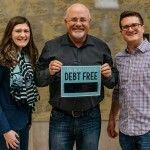 Maria, thank you for the great blog! I’ve already tried Fashom, and like you, noticed the difference in the website and graphics! I thought it was fun to see the items and pick which 5 you wanted. Like you, I kept one item ( a gray sweater). Stitch Fix really does set the bar incredibly high for the competition, especially when it comes to customer service. I think Fashom has a very small team so I’m sure it takes them significantly longer to sort out and correct the errors that pop up. I’m sure I’ll try Fashom again, but don’t we always just end up comparing it to Stitch Fix? Oh yes!! SF is indeed amazing! Great review, thanks! I wonder if their graphics and customer service will get better over time. I’ve used Le Tote on and off for a few years and their website was not pretty a couple of years ago. So much nicer now! That’s very helpful to know! 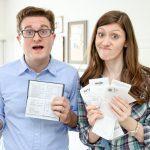 I figure that their website is bound to improve over time (goodness knows, when I first started blogging, my own website was something not-so-pretty on the eyes). I just hope Fashom is able to make some of those changes soon. Hi Maria. I really appreciate how thorough you are in your comparison reviews. I was wondering myself about the actual quality of the clothing so I’m glad you mentioned the thinness of the garments as this is a personal concern of mine. I hate ‘slub’. So I’ll watch for your next Fashom box before I make up my mind in regards to ordering particular service. Thanks!!!! Hi Dawn, I’m SO happy to hear that these posts are helpful to you! The comparison posts always take an extra long time to write so your positive feedback is certainly appreciated! I’m very curious to see what my next Fashom box is like too – hopefully it will be even better.